Mammoth’s real estate market, as well as many other aspects of life in Mammoth, has settled into a rather predictable local version of the “new normal.” Ongoing foreclosures, short sales, developer and investor/ment defaults, pie-in-the-sky planning proposals, restaurants coming and going, etc. have become almost like the change of seasons. There really are no surprises. The only surprise is how fast we got here. And for true Mammoth lovers, the new normal can feel pretty good. Mammoth didn’t grow into what many people expected, but it may have grown into something better. And we may be forced into new directions and changes, and those may be opportunities to make it even better, but only if we seize these opportunities. And now that the election dust has settled, maybe we will be able to see them. The new normal for the Mammoth real estate market is similar to the past, excluding that era of hyperbolic marketing and ridiculous lending practices. This is the fall so inventories are supposed to decline. And yes they are. 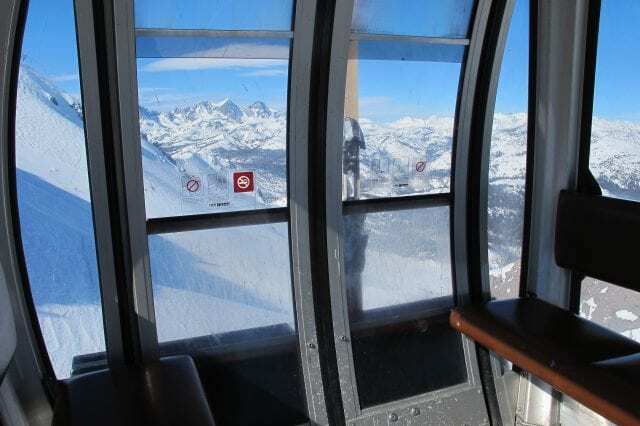 Prospective buyers will arrive in the coming months donning their ski and snowboard outfits and ask where all the good deals are. For the most part, we will only be able to point at the sales that occurred in late summer and fall. Of course, some good properties will poke through and buyers may recognize them as such, if they’re not too distracted by holiday festivities or outstanding snow conditions. And yes there will be a foreclosure moratorium––it is called the holidays. The foreclosure industry itself likes to take a breather and they don’t like booting people out of their homes during the end-of-the-year holidays. The big bankers may be heartless, but the people on the ground are human. The available inventories historically drop this time of year for several reasons, and they are classically Mammoth specific (although I’m sure it happens in other ski resorts). Primarily, the inventory is reduced by actual sales. The sales this time of year are driven by what I refer to as “the anticipation of winter.” It is a strange-but-true phenomenon. Most of the winter oriented buyers forget about Mammoth during the summer when the largest volume of inventory comes on. But once the days get shorter and football starts, everything changes. This fall has been no different. And many of the sellers who have marginal properties or are stuck on high asking prices will turn back to renting, either nightly or long-term, due to the high demand in winter, so many of those properties come off the market. And some owners just don’t like their properties on the market during the winter. So what isn’t selling? Single-family homes in the $700K to $2.0M range. From what I can tell based on my own listings and my own showings to potential buyers, hardly anybody is even looking in this price range. Of course, I know they are looking online, and I see them driving around the neighborhoods with maps (and I can see you while I stand at my kitchen sink! ), but they are rarely out with agents looking. This segment of the market is where I sense the vultures are swarming the highest. They know more REOs are coming. They’ve seen values come way down. But they are getting hungry, frustrated and a bit impatient, and they do want to take advantage of low interest rates. Or they are simply bored with where they have their cash stashed. This is part of the “new normal.” And coincidently, the absolute flattest segment of the Mammoth market is vacant residential lots. 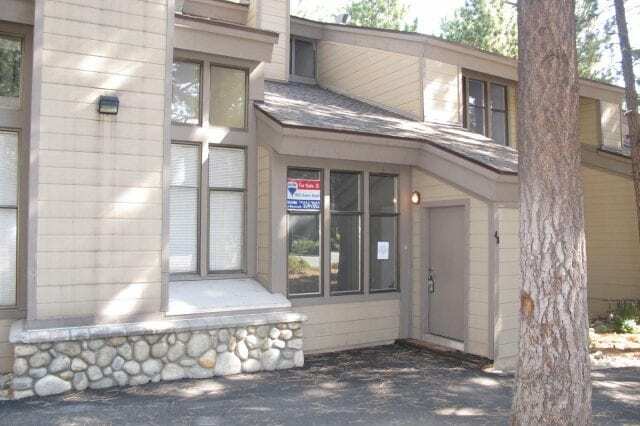 While there ARE about ten new single-family homes under construction in Mammoth right now (always an interesting market indicator), lot buyers are scarce. Of course they don’t need an agent to show them these, but personally I can tell you that “signs calls” are nearly non-existent and actual sales figures will prove it out. There are some real quality lots on the market at low prices. But buyers must think there is more downward pressure to come. In the past, when prices got this low, there were investors who came in and bought-up several just to hold long term. In a market where there is true scarcity in a segment like this, it can make sense, especially when there continues to be strong price support in the low-end of the residential market. And recently, a buyer who purchased a $1M home in the Snowcreek Crest turned right around a tore it completely down. I can’t wait to see what they build. Part of the Mammoth new normal is the recent departure of Intrawest as an active participant in the local brokerage community. Now that the remaining Westin units have been sold, the Playground office has been closed. Some of the bodies remain under a new name, but the direct influence of Intrawest is now gone. 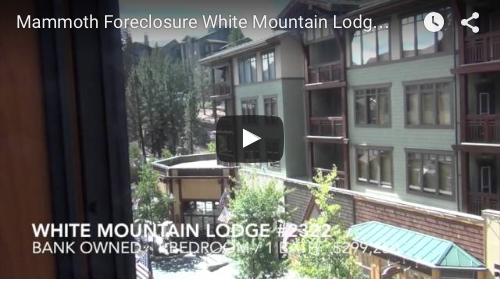 It is certainly the end of an era in Mammoth real estate. I’m sure their influence will linger in the “sales language” of local agents, and their opulent sales brochures and marketing materials will be pulled from the archives and marveled at like rare antiquities. For those who think I’m just a bash-and-trash on the subject, please don’t be so naïve. Based on my public office at the time and owner of the local RE/MAX franchise (RE/MAX is really big in Canada) I had a rare seat from the start. The Sid & Pete show was a really big show from the beginning. If they were selling ice to Eskimos, the Eskimos would be buying. Despite the personnel changes over the 14-year run, the sales strategies didn’t waver much, all the way down to the last Westin auction and post-auction dump. I know I learned a lot, some of it I want to remember forever, and some I hope to forget. Under the new normal there are still some buyers who bite on all this strategy, but today they’re buying at massive discounts, and most are buying with cash. So what else do we have to ponder in the new normal? There’s no surprise that the Airport continues to be a center of controversy. Recent news reports about an “icy” reception from the Appeals Court judges has already alerted everybody that the sky is falling, and falling fast. The blaming and finger pointing has begun (again). I’m not sure who I want to blame, but it is between the FAA, the Ski Area, Ballas himself, the Sierra Club, Town Council’s past and present, the Town Attorney, Wall Street, some local sage grouse and tui chub, and perhaps, dare I say, some ravenous attorneys. My flow chart of possibilities on how all of this plays out is large and grows every day. Anything could happen. And forget that Mr. Ballas was likely saved from financial disaster, like so many of his brethren. But while many are blaming there may be some interesting opportunities and outcomes. Some things may come full circle, like dis-incorporation. Aren’t we now mandated to downsize government? But take-it or leave-it, the Airport remains critical to rounding out the winter ebb-and-flow that makes the local economy so dysfunctional. So in the new normal era, including the financial stress that comes with it, we’ll find out how important that is. I just hope the press doesn’t gloss over the real story in the coming months. And jeez, in the last thirty years we’ve survived earthquakes, volcanoes, floods, crushing winters, forest fires, hantavirus, embezzlers, and more. What’s the problem? And anyway, bankruptcy is so in vogue. With the results of the election in, some of the uncertainty has become less uncertain. Changes with the mortgage interest deduction (and depreciation allowance) are now unlikely and the current capital gains treatment may stick around. Cap-and-trade is probably off the table, although Jerry Brown may threaten. Finding a solution for Fannie and Freddie will likely get lost in gridlock, or maybe Wall St. will “find” an answer. Meanwhile, the more serious market condition for Mammoth and the new normal may be inflation, especially inflation centered on gas prices. We’ll just have to wait and see how that works out. Hi Paul, if you wouldn't mind, could you write a blog post about the different areas in Mammoth? I know in the past you have written about town vs ski-in ski out, vs out in the meadow at Snowcreek, etc. but it would be interesting to get an update including the same type of analysis you have here. Have some areas turned down more sharply than others, or are certain areas better values in the current market. It would also be very interesting if you would quantify some of that hot activity you're describing. You know, something like "in 2005 there were 200 sales YTD, in 2007 there were 400 YTD, and in 2010 there are 100 sales YTD", something like that. Still need to come down 30 to 50%. Then they might move. I've been working with my webmaster on re-vamping the stats pages on the RE/MAX website (the link is on the right). The initial look is quite interesting. We will display the sales data from the entire decade including the year-to-date for 2010. Look for it in the next few days. The sales stats for the past decade are now posted in a new format and can be accessed from the home page of our RE/MAX site (link is on right). The 2010 stats are year-to-date and I've approximated the closings between now and the end of the year based on what is in escrow and likely to close. The stats are for Mammoth ONLY and do not include Crowley Lake, June Lake, etc. As an aside, I can hear the naysayers, "but have you accounted for the impact of the $8,000 tax credit" blah, blah, blah. Mammoth is a second home market, that tax credit was not a driver of purchases here. And very few locals have had the ability to purchase in 2010. While I was working on this little project, I was reminded of a client I was helping one of my associates work with in the past couple of years–a group of engineers who were provided, and analyzed mountains of statistics during their search. My associate eventually became frustrated with them and the client found another agent at another company. Those buyers eventually purchased a property my company had listed, a property with a serious incurable defect (one of my real estate pet peeves). While we were glad to get the property sold for our client, these buyers made what I would consider as very poor selection to purchase. So you can pour over data and still miss a fundamental flaw that is right before your eyes. I'll be back Thanksgiving weekend, enjoy the snow!! Is there a post somewhere of your list of incurable defects? Over time I have read a couple of them in your previous posts. And, out of curiosity, what was the incurable defect of the place those engineers chose? I enjoy your blog – thanks! The thing is this collapse never needed to happen. In 1999 when this bubble started, there wasnt a shortage of comercial or residential real estate. Through greed and selfishness, this market was over built six times what it should be. Everyone should be upset that this asset class took the us economy into a depression, which is what we are in and will be in another 10 years atleast. We all got screwed, even those who didnt buy like me. The U.S. has lost its opportunities for a better life each year. To even talk like real estate has value right now makes you as stupid as those who caused this. Its over. Frankly, I am really embarresed by all of you and wish I wasnt part of the same society… Tired of carrying all of you idiots. I'm also one of those who sat on the sidelines and watched the market go up and down. For those of you who think that Mammoth is still 30-50% over-valued, I would suggest that you aren't looking at the situation realistically. Mammoth is not Modesto. I hear homes in Modesto that were selling for $500K in 2006 are now selling for $150K. The reason that Mammoth has not seen such a large decline is that it wasn't as crazily overvalued. Modesto is generic, and Mammoth is a few square miles and a few thousand properties in a ski town. So, if you think that Mammoth will drop another 30-50%, you are really saying that you think that the average income of americans will drop by a similar amount. You might be right, but I doubt it, because the Fed is doing everything it can to keep that from happening. My bet is that they'll be successful, perhaps even so successful that we'll see hyper inflation. If that happens, you'll be lucky to own real estate or other hedges against inflation (assets that have a real value based on labor and materials and commodities of limited supply like land in a ski town). One last thing. If Mammoth did fall another 30-50%, I'd be feeling like a kid in a candy store, and that is precisely why it is unlikely to happen. I would agree that it might if we had general deflation of that magnitude, but if that were the case, we'd be in the same relative place with regard to affordability. I'm tired of people forever extrapolating a current trend to infinity. It gets us into messes over and over. Be a contrarian! I'm going to guess the previous poster owns at least three properties in Mammoth. "So, if you think that Mammoth will drop another 30-50%, you are really saying that you think that the average income of americans will drop by a similar amount." No, I don't think that at all. What I think (and know) is that with every month that passes without any real recovery happening, 1) more discretionary assets are dumped on the market, and 2) fewer people want to accumulate discretionary assets. You're right, Mammoth isn't Modesto. It's not where people live year-round, it's where people throw discretionary money around. Be read to feel young again because it is going to happen. Then what do you buy?? I'm all ears. Just so I don't waste more of my time, are comments censored here? I responded to the "30-50% drop ain't gonna happen in MAMMOTH" guy and it never appeared. What gives? Perhaps you forgot to hit the Publish button. All comments are welcome (and published) as long as they are not spam. Guess again, I don't own anything in Mammoth, yet, and I already feel young. The metaphor was for the feeling of excitement when presented with a vast array of tantalizing choices. I'll probably never feel that way when looking at the Mammoth real estate market, because there just isn't a vast array. people really want to buy have held up far better. I think we will see another significant decrease in mammoth (15-25%), but not 30-50%. That ain't happening, period. The reason for 15-25% drop is the current economic climate. We, as a country, are much worse off compared to 1997 and eventually RE prices will have to reflect that. The reason why we won't see a 30-50% drop has nothing to with 'limited supply.' It is because the replacement cost will be higher. You can only sell below replacement cost for so long, after that the market forces will catch up. Personally I think renting in Mammoth is the way to go. 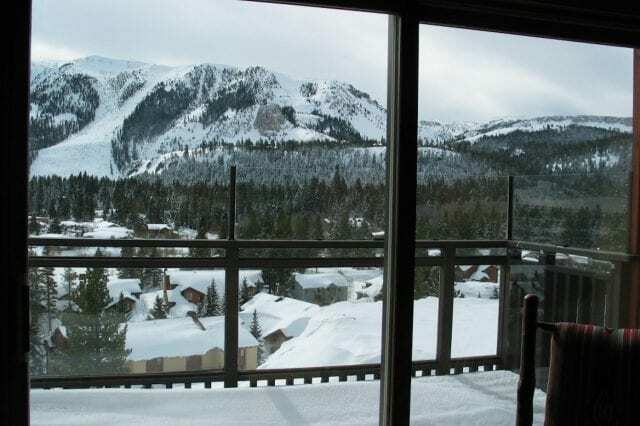 I will be paying less than $5K to stay in Mammoth for Christmas. Great location, great place, best time. Why would I purchase a property for $1M and be out $100K/yr? Need to keep testing my blog. Not working as I want it to yet. Thx for the theme. Maybe this will get mine to look better. "The reason why we won't see a 30-50% drop has nothing to with 'limited supply.' It is because the replacement cost will be higher. You can only sell below replacement cost for so long, after that the market forces will catch up." Replacement cost is irrelevant if Mammoth has twice as many units for sale as people who want to buy one- those are the market forces that will drive prices for the forseeable future. And as you said, why buy something stupid like a second home when you can rent one for a fraction of the costs, and without the headaches!? People are busy trying to keep their primary homes, worrying about retirement, college costs, paying down massive amounts of debt, etc. Not enough people are flush with cash, very confident they won't be laid off, and want to buy a second home they'll use 15-20 days per year. We shall see how it plays out over the next several years. "In the new-home market, sales were the slowest for a November since at least 1988. In many growth areas the math for builders just doesn’t work: The cost to construct is higher than what buyers can afford or are willing to pay. Often builders can’t compete with the pricing of nearby resale homes, especially foreclosures and short sales." In looking at the Mammoth market, the "cost to construct" is already higher than pricing of existing homes. How did that cost to construct get to the lofty heights it is at now? Why did it magically start rising in lock step with the pricing of existing homes during the loose financing induced real estate bubble? Could it be that builders and construction labor have not given back the huge gains they made when things were crazy? Will they? Those who look at the MLS and conclude that the supply exceeds the demand need to spend some time looking at these properties in person. The internet has a way of making things look better than reality. In reality, there are very few properties on the MLS actually worth buying. To those bears who think the market will fall a further 30-50% I will concede that there are some specific properties on the MLS that need to fall that far to be competitive in the current market. The folks who say that replacement cost has nothing to do with limited supply don't seem to consider that the price of land is included in replacement cost and has a lot to do with limited supply. Perhaps the price of labor and materials is set by limited supply as well.